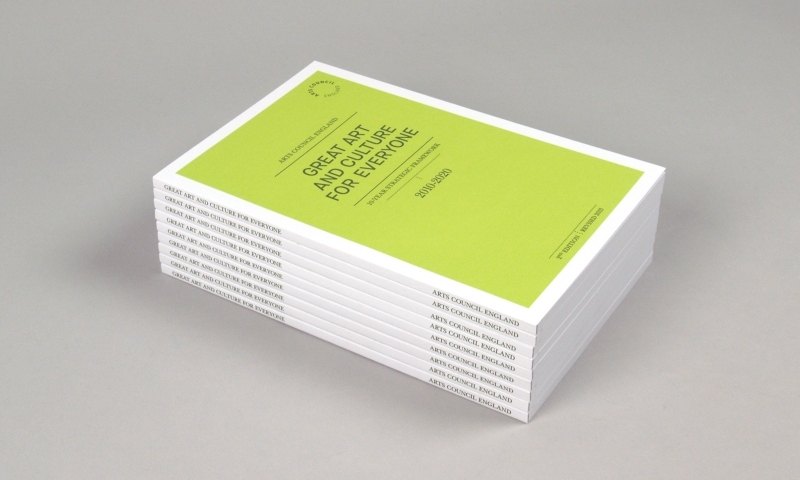 Just launched: Arts Council England’s ‘Great Art & Culture for Everyone’, the revised second edition of their 10 year strategic framework. The book outlines their ambitions, goals and mission. Produced as a classic paperback, our design aims to communicate the strategic nature of the content in an engaging format, with text pages interspersed with solid bright colours, quotes and charts. View more work for Arts Council England.